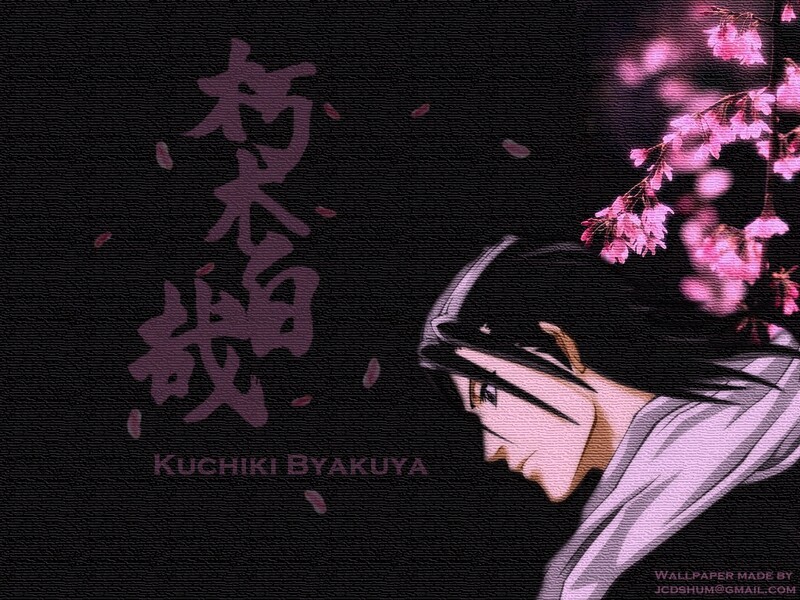 The same concept and layout as the previous post, Byakuya and having sakura behind him. Personally I think his ability is the most beautiful one and sakura sort of reflects his aristocracy among shinigamis. Comments and suggestions are very welcome! ah, I think that the sakura do reflect his abilities. they also add some great colour. awww i forgot..can u have this in bigger resolution? and also what does the kanji word mean ?byakuya's japanese name in kanji? well i guess this one is unique. il make this as myfav! beside there's byakuyasama :P heheheh. I LOVE BYAKUYA Thanks for sharing ! Now hes one of my favorite characters! zommari Suckz compared to him! i like it! it really is awesome! absolutely beautiful! the cherry blossoms contrast so well with the background. Great work! The colors work well and there's a illusion of simplicity that reflects Byakuya! Thank you for sharing!